Payatrader, the provider of low cost card processing for small businesses, today announced it has been voted as the “Best Technology Initiative of the Year” at the prestigious 2013 Cards & Payments Awards. 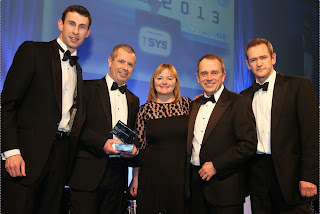 Acceptacard was also shortlisted with its Payatrader solution in the “Best Initiative in Mobile Payments” category for its work developing and launching the UK’s first, low cost mobile Chip& Pin terminal with SMS receipting, and in the “Best Industry Innovation of the Year” category, for making card acceptance accessible and affordable to millions of small businesses. Payatrader was first conceived and developed to address a gap in the market for a “low cost, no financial commitment” card acceptance service, where small traders could take card payments on a Pay As You Go basis without the worry of monthly and minimum usage charges. This has since evolved to become the UK’s first fully integrated, low cost, debit & credit card acceptance solution, providing multi-channel payment processing (offering online, telephone, mobile, email, contact centre and low cost, mobile Chip & Pin) consolidated into a single online account – giving small businesses an industry leading service at an affordable price.